I am always willing to share stories of other cancer survivors on “Paul’s Heart”. One of the missions of this page is to provide inspiration and hope. And to do that, you have to do more than just take my word for it. So, just like other stories I have shared, please meet Glen. Glen is a former police officer for the Escondido police department which being a cop is something to appreciate by itself. But like me, Glen is also a long term survivor of Hodgkin’s Lymphoma. In fact, he has 2 years on my 27 years of survivorship. But also noted, he has not only battled cancer once, but three times. Glen’s story is an inspiring one for a number of reasons. Glen is married to his wife Debbie over 30 years. For many men who were treated for Hodgkin’s back before the 1990’s, sterility was almost guaranteed for men. Yet not only did Glen and Debbie have three children, they are also grandparents. 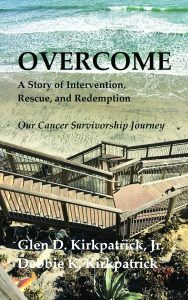 Glen and Debbie recently co-authored a book titled, “Overcome – A Story of Intervention, Rescue, and Redemption”, based on their approach to dealing with the many aspects of facing cancer. Together they explain how the two of them got through his battles, and where they drew their strength from. The book is available on Amazon so I do not want to spoil any of the good stuff in the book. 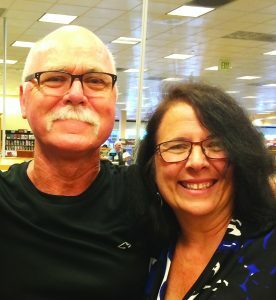 Glen and his wife were also featured in a news story of the Times-Advocate, printed in Escondido, California. There are many inspirational stories of cancer survivorship. And if you have one, I am always willing to share them through “Paul’s Heart”. It was kind and generous of you to write, and post our story to your blog.